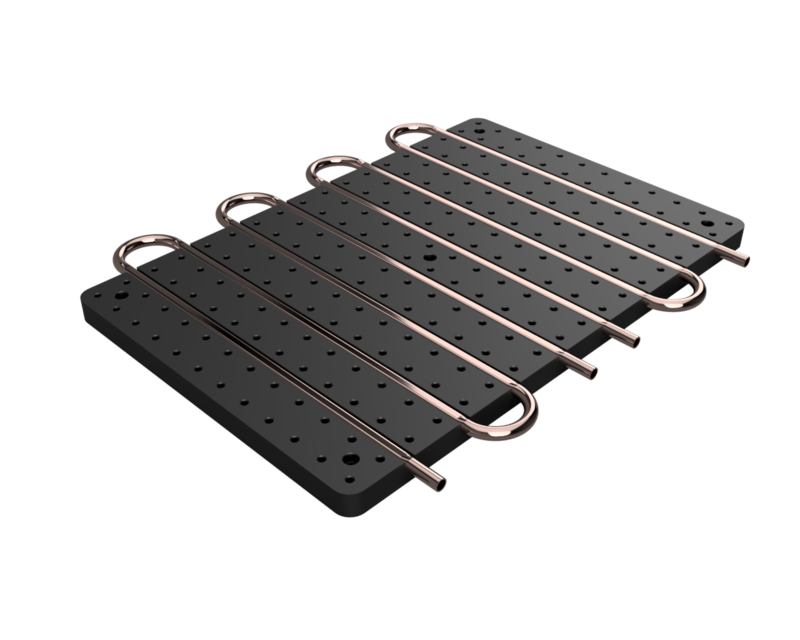 300mm x 450mm x 20mm Water Cooled Solid Aluminum Optical Breadboard, Black Anodized. Each aluminum breadboard has M6 tapped holes on 2.5 cm centers, as well as 5 counter bores for rigid mounting. Base Lab Tools' liquid cooling optical breadboard is designed for use with heat creating components; such as lasers, CPUs, and LEDs. 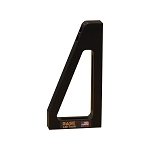 Lab Tools has designed versatility into this product by placing counter bores into both sides of this 20mm thick optical cooling plate. 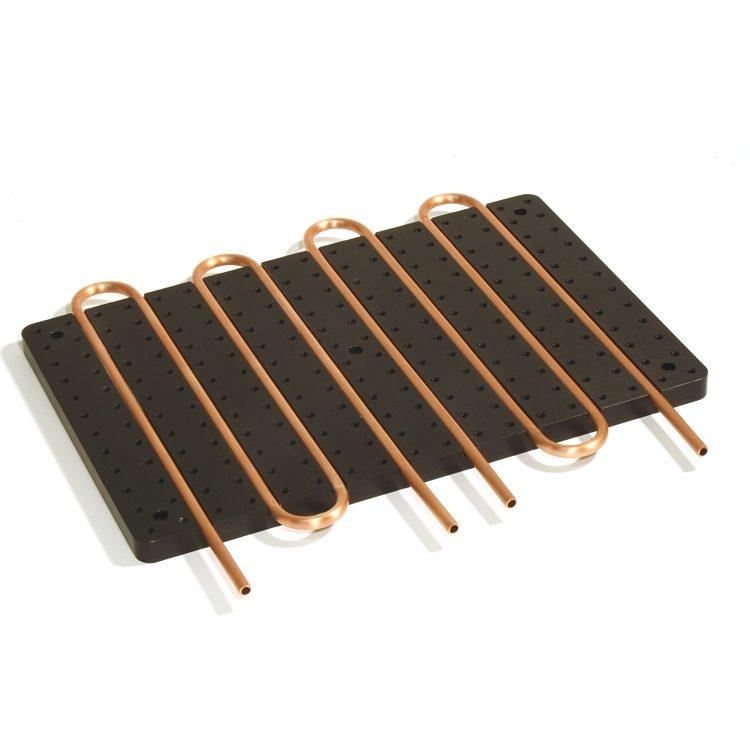 This allows for it to be used with the copper tubing exposed for more direct cooling, or the breadboard can be turned over and be used as a solid aluminum heatsink. 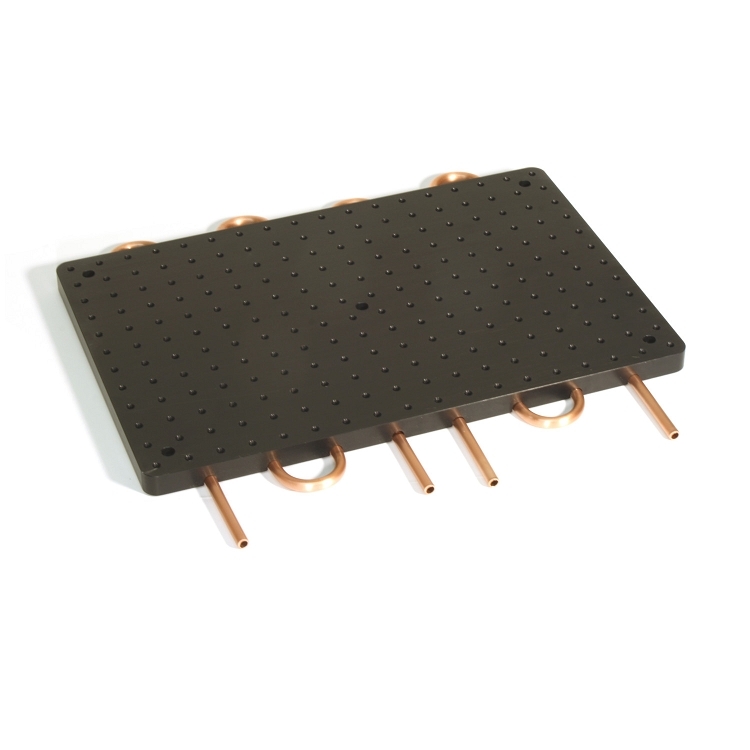 This optical plate uses 3/8 OD copper tubing. 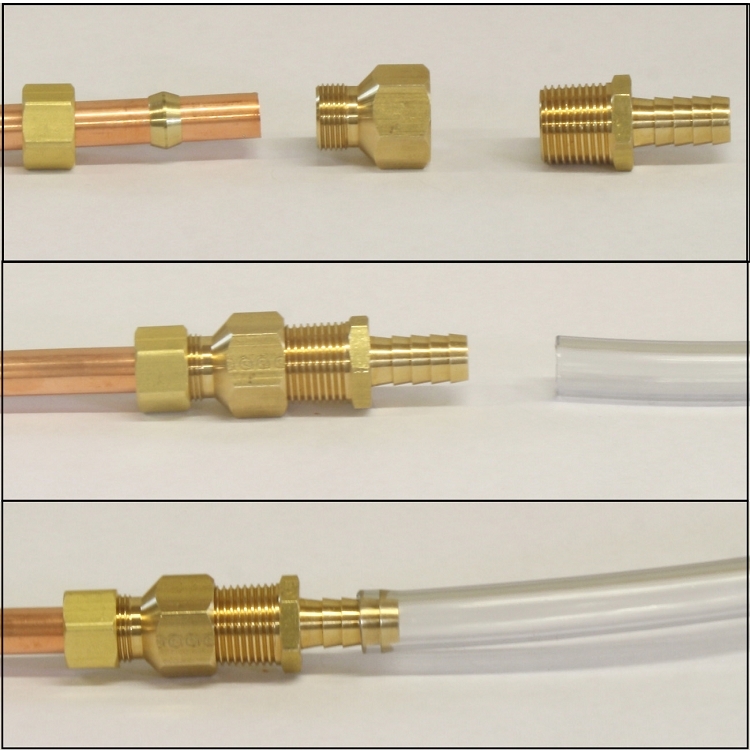 Flexible tubing can be push-fit into place, or compression fitting can be used when higher volumes of cooling (or heating) liquids are being used. Then connect to your chiller unit. Base Lab Tools offers hundreds of optical breadboards from stock and custom. Often in applications like CPU cooling, laser diode and laser bar cooling excessive amounts of heat is produced. This optical breadboard / cooling plate allows the user to connect their own chiller and cool their components. This 300mm x 450mm water cooled optical breadboard has the added advantage of having the cooling area being split into two segments which can be used independently or chained together with a short piece of tubing. External looping of the cooling tube compensates for expansion and minimizes disruption to the hole pattern. Components can be mounted directly against copper tubing for maximum cooling. Standard size 3/8" OD copper tubing. Unique double counterbore mounting holes allow the breadboard to be flipped to using the aluminum as large heatsink cooled underneath. 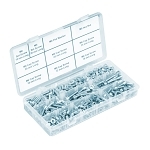 Uses standard copper fittings which can easily be purchased at your local hardware store or from Base Lab Tools separately.